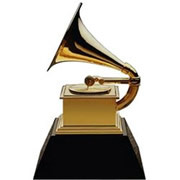 The National Academy of Recording Arts and Sciences conducts the Grammy Awards every year, honoring the highest achievement in the music industry. First beginning back in 1959, the Grammy Awards have grown into a night awarding the coveted honor for a variety of different focuses in the world of music entertainment. The 2014 Grammy Awards will be held on Sunday, January 26 from the Staples Center in Los Angeles, California. The Grammy Awards are essentially the music industry's version of the Academy Awards. There may be other music awards shows, but if you ask the performers what they would most want to win, they would tell you that it would be a Grammy award. Because the Grammys are very popular, oddsmakers actually form a ton of different betting lines for the night. These betting odds for the Grammys cover a wide range of categories and topics, typically forming shortly after the nomination are announced in the weeks leading up to the big night. You will be able to place a wager on Album Of The Year, Song Of The Year, Best New Artist, and many, many more. The betting odds are fielded all the way up to the start of the show, so whether you want to get in you wager ahead of time or right at the last minute, you will have the option to do so. The 2014 Grammys aired Sunday night to millions of viewers across the world. Those that placed wagers on some of the top awards on the night awaited the results. Below, check out each category that Bovada Sportsbook formed payout for + the winners. Within the winners, check out how much a wager would have won. Betting odds for the 2014 Grammy awards will be found at different online betting sites, but there are certainly some that exceed even our expectations. Read about the best online entertainment betting site for Grammy wager lines below. Your one-stop spot for everything Grammys betting should be Bovada Sportsbook. Bovada implores a very thorough entertainment betting odds section, for which lines for the 2014 Grammys will be available. They covered the 2013 Grammys full circle, giving bettors the chance to wager on all of the big categories from the night. Sign up and receive up to a $250 bonus on your first deposit when you use VISA branded cards or using wire transfer services like MoneyGram or Western Union. Those living in the United States are welcome to play at Bovada, with the exception of Washington, Maryland, and New York; all others can sign up for free!